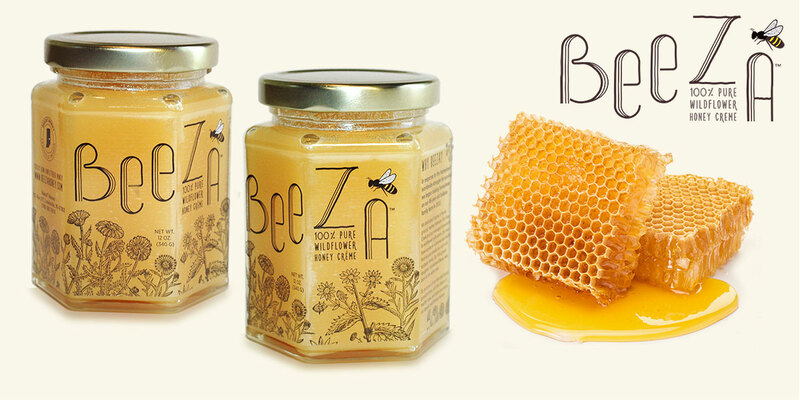 Beeza wildflower honey créme is produced on a small family-run farm. Clear labels allow the créme to be viewed through the unique hexagonal jars. 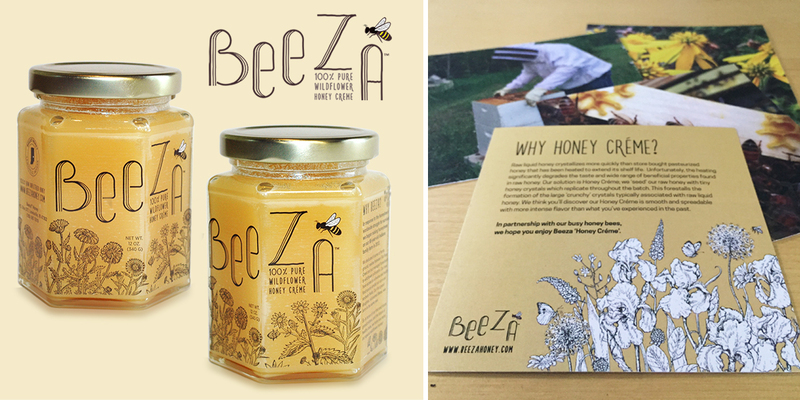 Fun, unique logo and information cards accompany each shipment of honey.